Becky Lower is one of the most talented new authors I know, and happily for readers she writes fast! Becky has published four, fabulous books in one year (yes, I have greedily read them all), and her fifth is coming out this fall. Please join me in getting to know more about her first contemporary romance novel, Blame It On The Brontes, as well as find a list of her available American historical romances (with links to my Goodreads reviews)! First and foremost, Becky, tell us about Blame It On The Brontes. I’m so proud of this book. It’s my first contemporary to make its way into publication. The title had been kicking around in my head for a couple of years, but I couldn’t find a story that would match. I read Charlotte Bronte’s book, Jane Eyre, and it made me wonder what the sibling rivalry was like in the original Bronte household. I mean, Emily was kind of the golden-haired one. So I knew I wanted to create a modern-day household with three talented and creative sisters, who had a lot of angst. My own sister hijacked me one night and took me to a class on making jewelry from sea glass, and there’s where I found my inspiration. Plus, I walked away from class with a really pretty necklace that I had crafted. You’ve been writing the fabulous Cotillion Ball Series novels – American historicals set in the mid-1800s. Why did you decide to detour with a contemporary? I read an interview recently where a woman said she liked to ‘cleanse her palate’ between her historicals by writing a contemporary. That’s kind of the way I feel. By mixing it up, I think it makes each book special and different. Would you say you have a preference for writing either historicals or contemporaries? 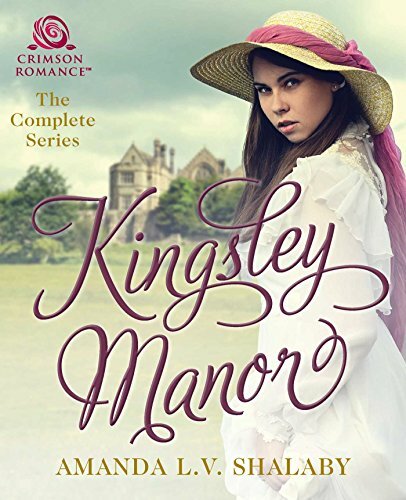 Historicals will always be my first love, but they are so research-driven that it’s nice to take a break and write something totally different. I think my historicals are stronger as a result. I read a lot of historicals by authors where that’s all they write, and the stories tend to be the same formula, so after a while, you can’t distinguish one from the other. I like for all my stories to be different, my heroes and heroines to be unique and have fabulous personalities that make people react, and I think breaking things up like I do helps. The heroines in your historicals have been true to the period – young brides in their teens. Yet, your heroines in Blame It On the Brontes are refreshingly older – gals in their early 40s looking for a second chance. Tell us about your journey into writing “boomer lit”, and what has been your reception? I have no problem writing a young woman in the 1800s. I understand their motivations. But I just can’t write a modern-day twenty-something heroine. I’ve tried, and the things a modern-day woman thinks are crises, just aren’t. I can much more easily relate to an older woman, who has lived enough of life to have a story, and has some depth. As I like to say, she has enough wrinkles, both inside and out, to be interesting. And I love the idea of second chances. Of resetting the start button on your life and maybe making a better or different decision this time. 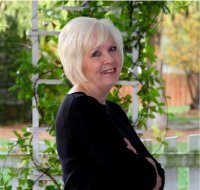 I recently attended my chapter conference where I sat at a table for lunch with a Harlequin editor and campaigned for her company to open a new sub-genre for the boomer crowd. She took a survey of the room and about 90% of the room said they’d be interested. I never realized when I began my writing journey that I’d be so vocal about having a heroine who is not in her twenties. But then, I’ve always been a rebel. 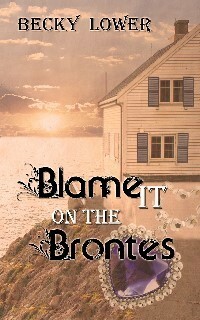 Having read Blame It On The Brontes, (read my Goodreads review here), I really felt like I had taken a trip to Maine. Your description of Puffin Bay truly transports the reader into this lovely, oceanfront town. How did you pick your setting and have you been to Maine yourself? I have been to Maine, several times. The same sister who drug me to the jewelry class lived in Maine for fifteen years, and moved around several times within the state. She lived on an island off the coast of Portland for years before she moved up the coast to the Bar Harbor area. My original name for the town was Puffin Harbor. I pulled the name out of the air, and looked at a map of Maine to make certain there wasn’t a town with that name, and there wasn’t. Then, a Google search found another author already had come up with it, and had an entire series of books set in the town. So, I had to change the name to Puffin Bay. At least I got to keep the name of the bar, The Quacking Puffin, or as the locals call it, The Quack. The reason I decided to set my book in Maine was because of the sea glass connection. I guess I could have picked an oceanfront town anywhere on the Atlantic coast, but I wanted more than a beach town, and Maine’s rich fishing and lobstering traditions appealed to me. You do a fabulous job writing about big families and the interaction of the siblings. Your characters have such depth, and you have a way of making each individual personality stand out. How much of that is taken from your own family experience? Do you have a method for bringing your various characters to such life? Thanks, Amanda, for the compliment. I’ll be the first to admit that my family dynamic is the basis for my family sagas, be they modern or historical. I have three sisters and a brother. We squabbled, as children do, when we were younger, but have become much closer as adults. We are each so different from one another that it’s hard to imagine we all came from the same womb. We still squabble, sometimes a lot, but at the end of the day, we’re family, we love each other, and that’s what matters. As for making each character and their personality stand out—one of the things I’m adamant about is that each character has his or her own set of traits. I hate reading a series or even just an unrelated backlist of books by the same author where the main characters are interchangeable, and it seems that all’s that’s been done is to come up with new names for them. My books are very much character-driven, so before I begin to write, I think about what traits I need to give this person, and what sets him or her apart from everyone else. When a reader tells me she loves (or hates) my character, I know I’ve accomplished my mission. What do you plan next for your readers? Please share with us what we can look forward to in the near future from you! I just finished my second contemporary, which, once again, began with the title. I don’t know why I can come up with titles for my contemporaries so easily, but I struggle with titles for my historicals. Anyway, The Road To Comfort will soon be shopped around to a couple publishing houses, to see if there’s any interest. It’s set in Tornado Alley, in Nebraska. The main characters are a college professor named Juliette and an ex-bull rider with the name of Cyclone. And it’s another one with an older heroine. She’s 41, has made one bad choice in her life and has had to make the best of it for the past 23 years. Cy is 34, and, as he starts to develop feelings for Juliette, he reflects that he wants to take away that worry line between her eyebrows and provide her a more easy life than what she’s had so far. He’s my hero, too, and the book’s been fun to write. And, I’ve only recently begun my next book in the Cotillion series. Blinded by Grace is about the eldest brother in the family, Halwyn. He’s just been diagnosed with nearsightedness, and his new glasses allow him to see things clearly for the first time. But, even with his new specs, he doesn’t see what’s coming when Grace decides this is the year that she’s going to find a husband and Halwyn is her man. Becky, how can readers get in touch with you? Great interview Amanda and Becky! Becky, just finished Blame it on the Brontes and your family dynamic is so real! It really is about all the things you said–folks making better choices the second time around. And like you said, at the end of the day, the sisters (like your own siblings) love each other. Great book and looking forward to a lot more! Thank you, Miranda, for stopping by today. As you know, I draw on my own family dynamic when I write. That’s probably why it comes across as real. Anything that you can take from your own life and use in your stories helps the believability factor, I think. Great interview. Love learning more about such great writers. Suzi, I’m honored that you visited today. Amanda asked some great questions, so the interview was an exciting one for me. Thanks for stopping by. Great interview, Becky! I love the title of your book, and have read another called, JANE AUSTEN RUINED MY LIFE. I just love these titles–anything that groups in the classics that I love, I’ll read. Thanks for visiting, Lani. Now I’m going to have to find the Jane Austen book you refer to. Sounds like a fun read! What a fantastic title! I would have held onto it and found a story to fit too. Sounds like a great book, though as a historical romance lover, I’m not intrigued by your historicals too. Thanks for a great post. Thanks, Christy. Amanda gave me some great questions to answer. I hope you enjoy my books, whether you read the historicals or the contemporaries. Fantastic interview, Becky. I’m sure your sister is proud she played a small part in your creative process by dragging you to that class! Thank, Lauren. My sister fully expected me to take up jewelry making, though, since I was frantically taking notes the whole time during the class. Little did she know I was plotting out a new story. Thanks, Karen. Amanda asked some really great questions, didn’t she? I loved, loved, loved this interview. I learned so much more about you Becky. You’re books are on my TBR list. Tweeted. Thanks, Ella, for taking the time to stop by. I read about your fourth books sale yesterday, so you’ve been busy, and I appreciate you spending some time getting to know me and my books. This was a fascinating interview, ladies. Becky, kudos to you for speaking up and giving that Harlequin editor something to think about. 🙂 May you have continued success with your Cotillion series (which I love!) and your contemporary novels. Thanks, Amanda, for hosting me today, and for asking such thought-provoking questions. I love hanging out here with you!